Buers (A)/Kudamatsu (JP). 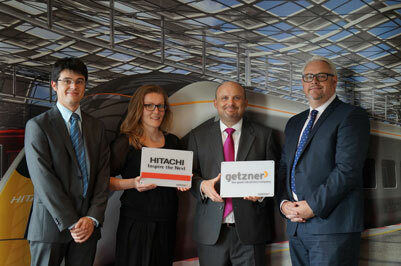 Rail vehicle manufacturer Hitachi has chosen Getzner Werkstoffe as the exclusive supplier of floating floors for rolling stock as part of the British Department for Transport’s “Intercity Express Programme”. The vibration-protection experts will equip all trains manufactured for the programme with vibration-isolating floating floors until 2018. The scale of the contract makes it one of the largest projects of its kind in the company’s history. The “Intercity Express Programme” (IEP) – a procurement plan – will see the British Department for Transport invest in new high-speed trains. Getzner Werkstoffe has been awarded the contract to equip all the new trains with vibration-suppressing floating floors until the end of 2018. 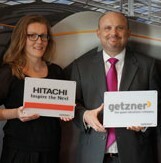 The client, rail vehicle manufacturer Hitachi Transportation Systems, is part of the Japanese conglomerate of the same name. “We won the contract due to the exceptional performance of our materials, our extensive experience in equipping rail vehicles and because our solution was the most cost-effective. Other significant factors were our international references in this sector and the external assessments that demonstrated the high level of effectiveness and exceptional long-time behaviour of our materials”, pointed out Lukas Tschann, Project Manager at Getzner. The exclusive four-year contract to supply the materials that Getzner develops and manufactures in-house is worth approximately one million euros. It is one of the largest projects for equipping floating floors with Sylomer® FR materialsince Getzner was founded. “Passenger rail carriages with vibration-isolating floors are considerably quieter than conventional carriages”, explains Naoki Oku, Assistant Sales Manager at the Japanese subsidiary Nihon Getzner K.K.. This benefits both rail operators and passengers. For the former, greater comfort in the train has a positive effect on the load factor and ticket prices: by offering more, you can charge more. There are other reasons why using elastic bearings not only on the railway infrastructure but also in the carriage floors is a good idea. On long-distance and high-speed networks in particular, the railways compete directly with air travel. “Experience shows that travellers tend to opt for rail if, in addition to short journey times and punctuality, an appropriately high level of comfort is provided”, confirms Naoki Oku. 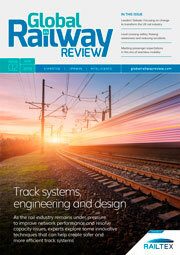 “Our high-tech elastomers are highly effective, despite the low construction height, and can therefore be relied upon to meet the noise levels inthe passenger carriages stipulated by the British Department for Transport. The elastomers keep the transfer of vibrations to the interior fittings, the structure and the electronic components to a minimum, while reducing noise and wear at the same time. Maintenance costs are also lowered, which is a key sales argument for manufacturers of rolling stock and rail operators”, summarises Winfried Ries, Managing Director of Nihon Getzner. The elastic vibration-isolating bearings in the carriage floors are made of Getzner’s latest fireproof material, Sylomer® FR. This meets the requirements of the DIN 45545-2 fire protection standard for rail vehicles. Vibration isolation solutions are not only used in rail and construction applications, they are also used in industry, for machinery and other technical equipment. tracks, structures, machinery and technical equipment.